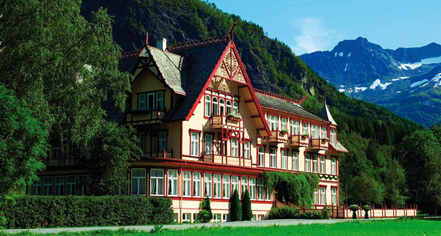 Hotel Union Øye is a historic gem, situated in a peaceful village on Hjørundfjord with the Sunnmøre Alps towering all around. Dating from 1891, the property is a historical journey in itself with authentic rooms, all named after royal and dignified guests, adorned with rich and traditional decorations. Idyllically nestled among mountains and water, Hotel Union Øye is an awe inspiring property optimal to host meetings, events, and special occasions. Partnered with 62°Nord, Hotel Union Øye offers exciting excursions and cruises along the coastline. Combine exhilarating activities with the kitchen's fine dining focused on using local products to complete the fjord experience. Hotel Union Øye, a member of Historic Hotels Worldwide since 2012, dates back to 1891. Hotel Union Øye was praised for its glorious intimacy by royalty, including Queen Wilhelmina of the Netherlands, Emperor Wilhelm II of Germany, King Oscar II of Norway and Sweden, and Queen Maud and King Haakon VII of Norway. Pet Policy: Service animals allowed: Yes. Pets allowed: Yes. Please tell hotel at booking. 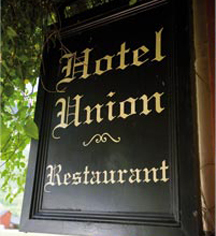 Learn more about the History of Hotel Union Øye .